To securely carry items such as Sidearms, Keys, Torches, Identification Cards etc. Also available ~ Torch lanyards. 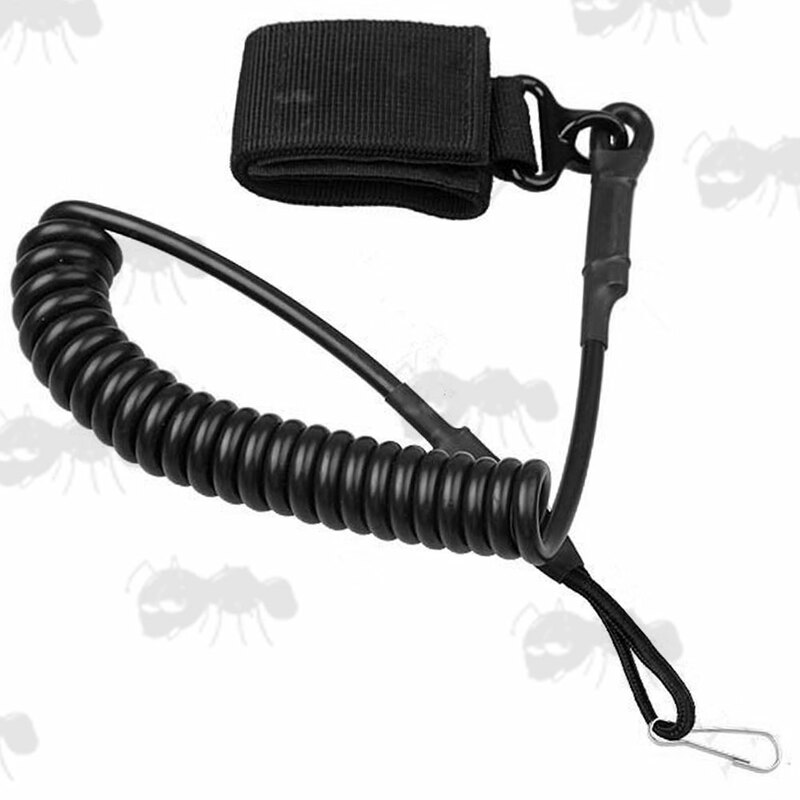 Coiled lanyard extends to full arm length for use without un-clipping. 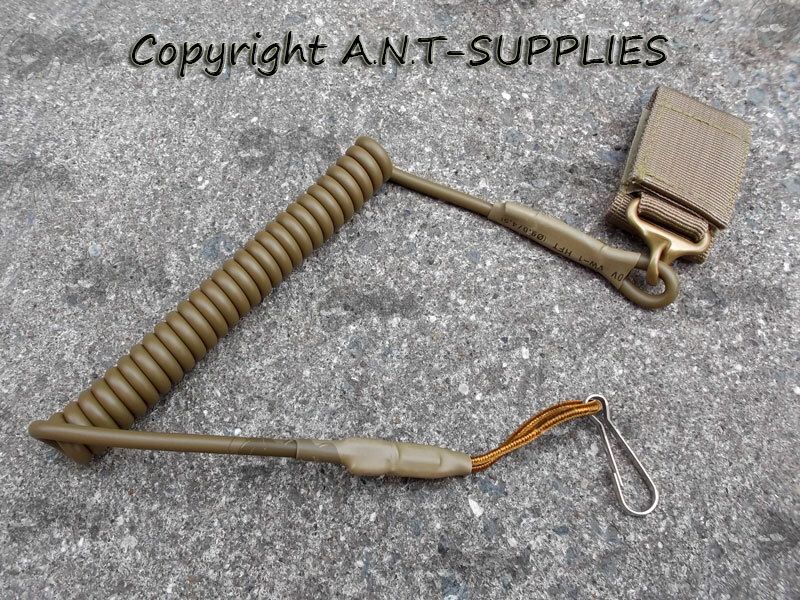 Heavy-Duty coiled pistol lanyard, with clip for the pistol grip fitting and velcro strap for fitting to your belt. Can be used for many other items such as cameras, torches, keys, identification, etc. Secure pistol from drop / lose. Coiled wire cord allows extension for shooting stance. 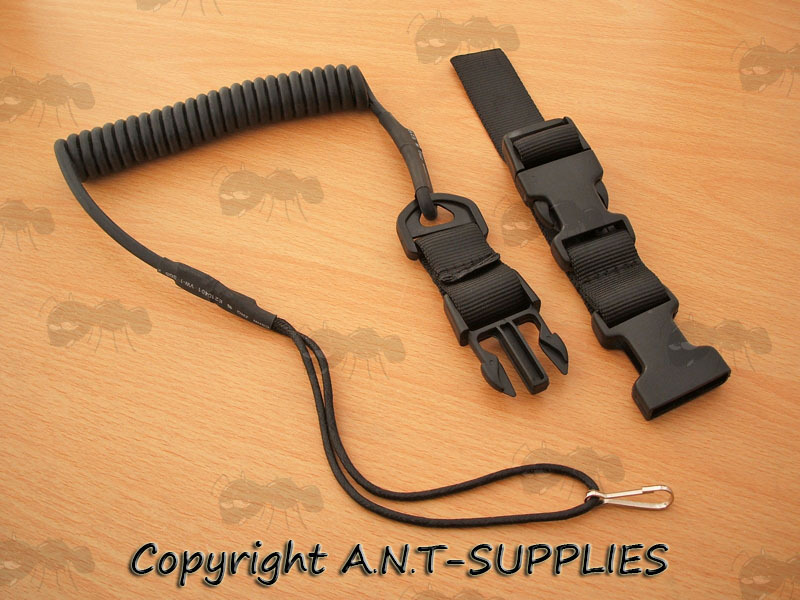 Attaches to belt up to 2 inch / 5 cm in width with the velcro strap. 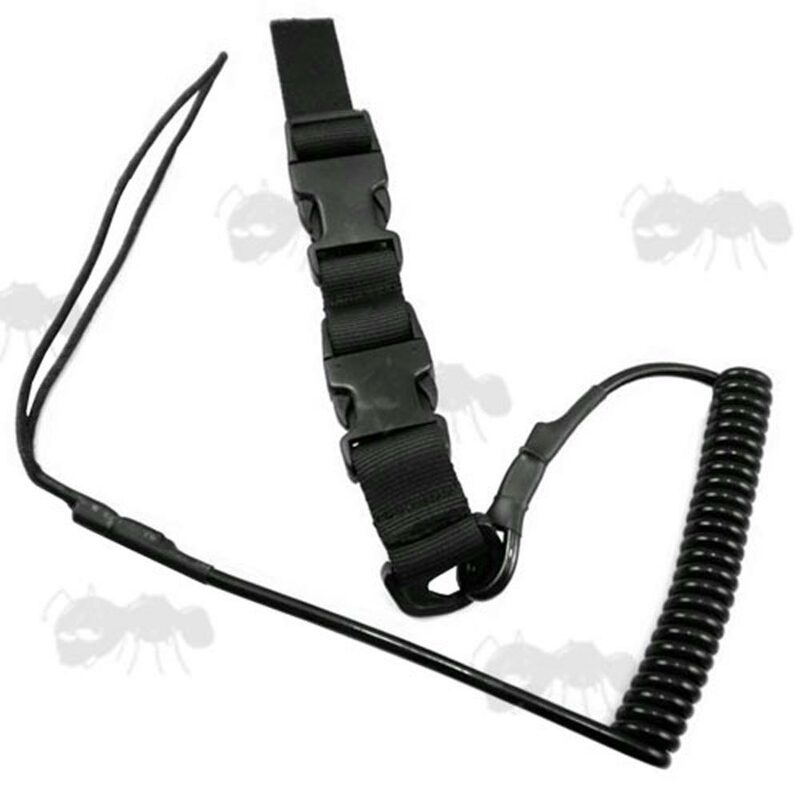 Suitable for pistols with lanyard attachment point. Condition: New, supplied as photo. Next > Genuine Tokarev Leather Lanyard. 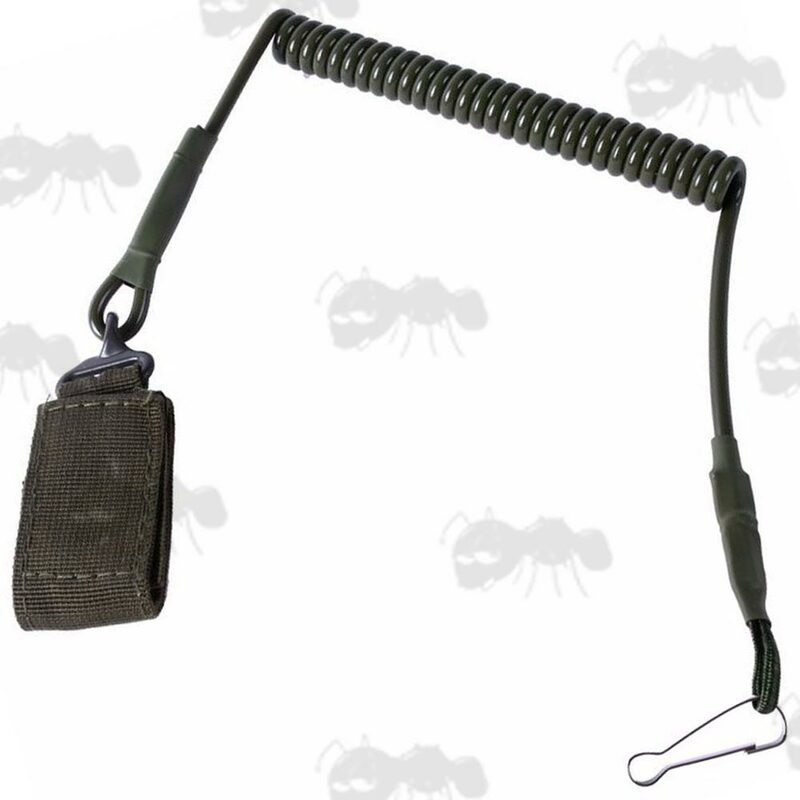 Heavy-duty coiled pistol lanyard, with clip for the pistol grip fitting and two quick-release buckles. Extends to up to 5 foot use without un-clipping. Designed primarily for law enforcement and special forces. 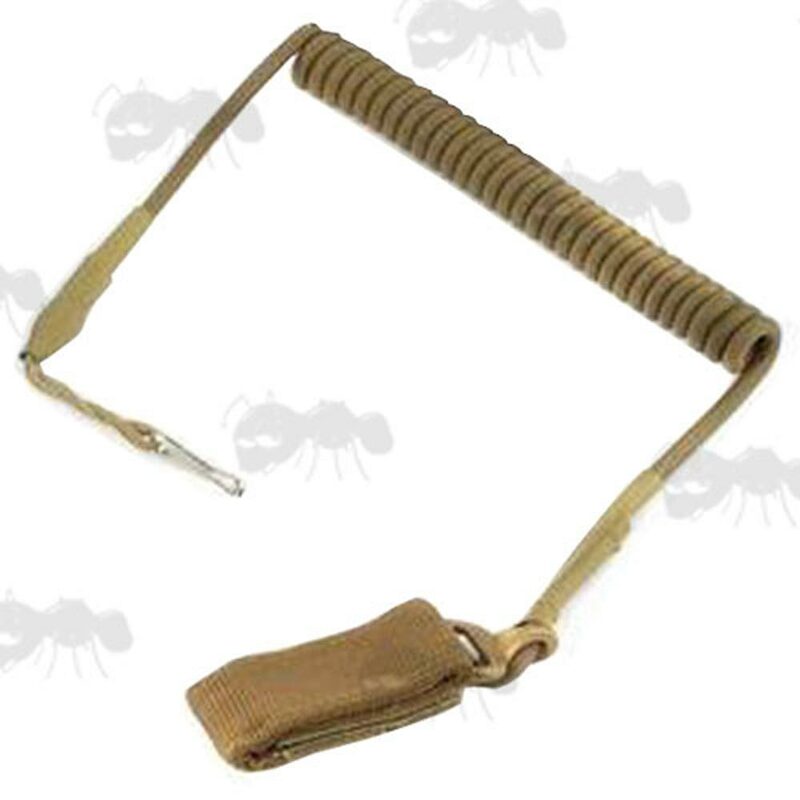 Tactical retention lanyard for preventing loss of side arms. 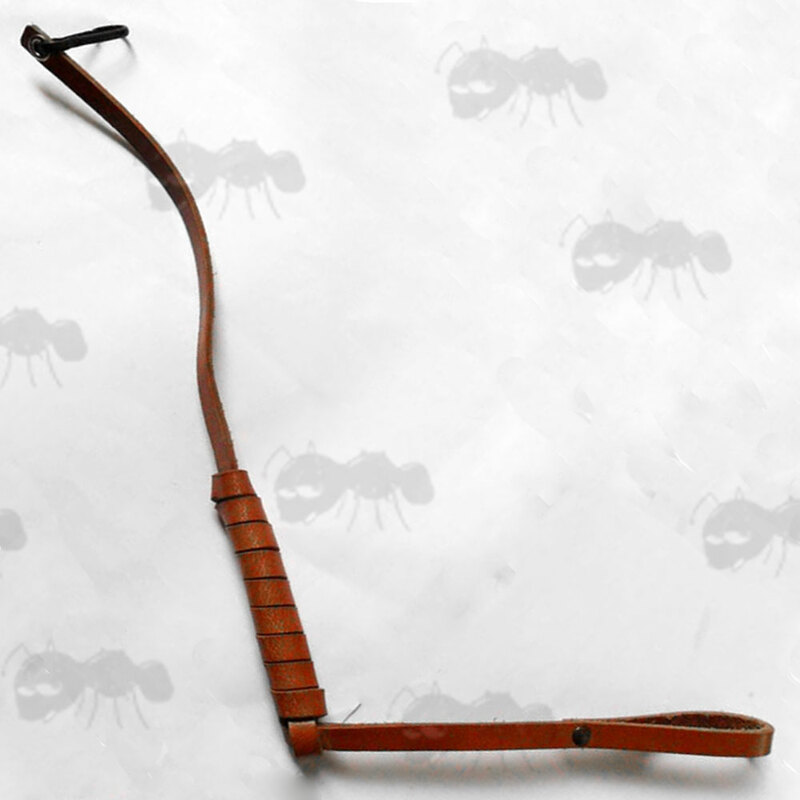 Original type 54 Tokarev pistol lanyard/sling. 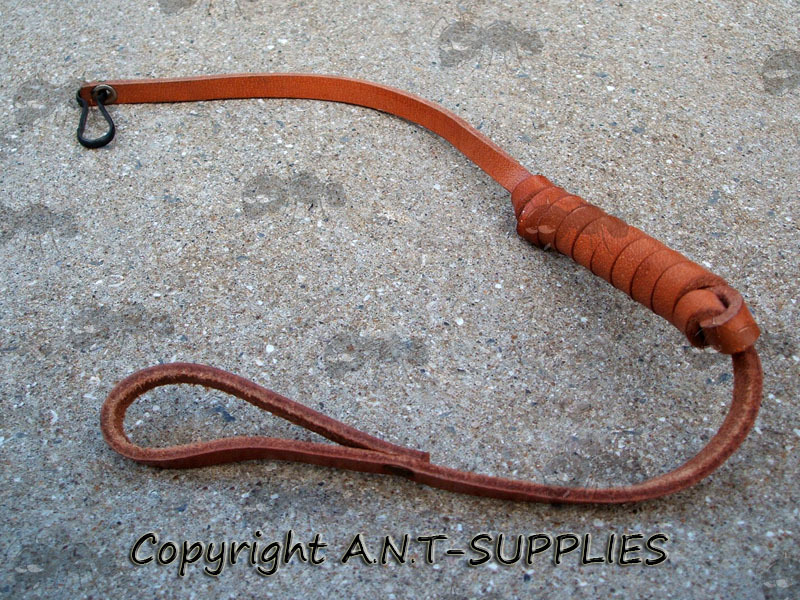 Cowhide leather with metal clip. Approx 46cm / 18 inches long. Chinese Army Surplus NOS ~ New Old Stock.